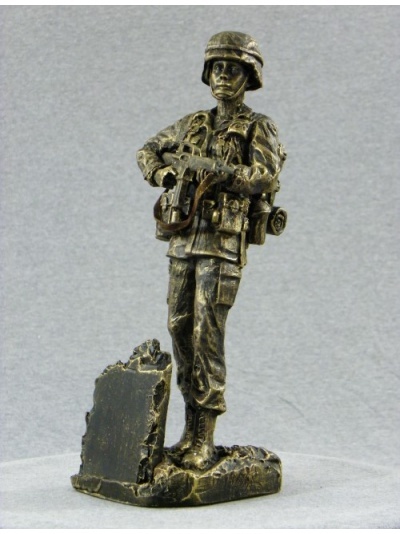 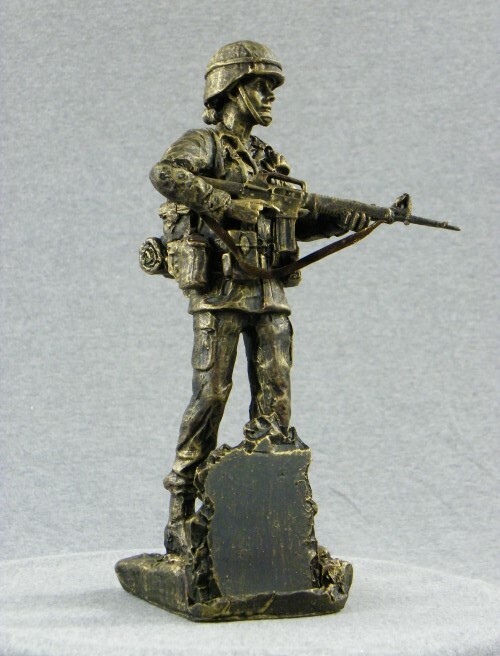 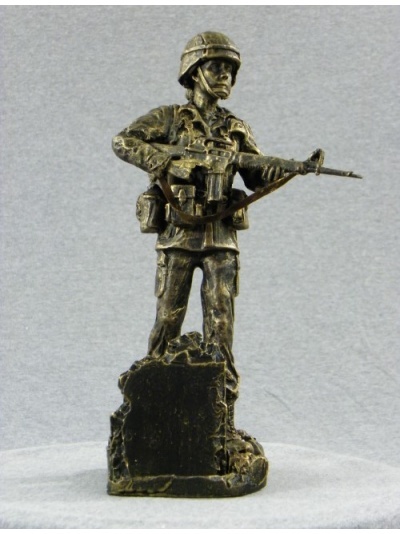 This one of a kind handcrafted statue was created to honor the achievements of the Soldier of the Month. 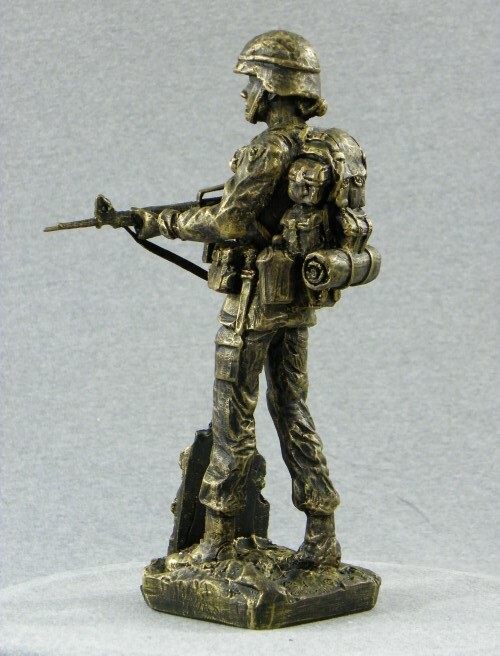 This piece was made special to honor a female Soldier of the Month and commemorate the role that women have had in the military throughout history. 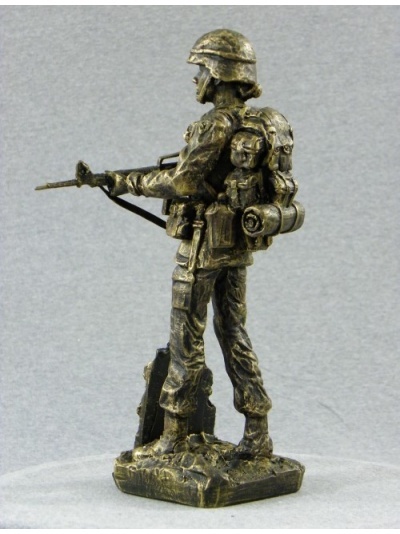 Women started in the military in support roles the last two years of World War I, and have since transitioned into more critical roles that US troops depend on. 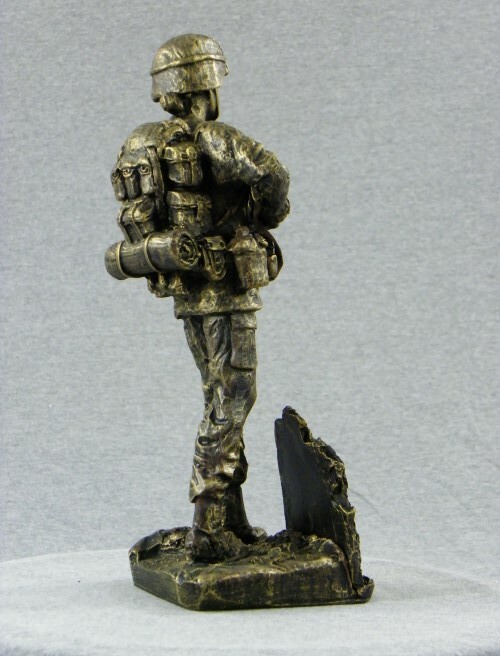 Women are an integral part of our troops today, and Rod Mench crafted this piece to embody this for the Female Soldier you want to honor. 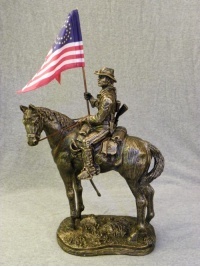 This statue far surpasses the traditional celebratory wall plaque/ makeshift doorstop. 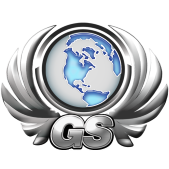 This item features a small "plaque" that can be used for displaying a variety of small awards and embellishments.